Anna Kendrick is widowed mother, Stephanie. She is super committed to being the best working Mum she can be and seems to be constantly mocked for it by a jaded group of parents at her son, Miles’, school. Blake Lively is Emily Nelson: a distant, fashionable and fairly inattentive mother of Miles’ best friend, Nicky. When the boys want a playdate, Stephanie and Emily start a mismatched friendship revolving around martinis and sordid secret sharing. That is, at least, until Emily asks Stephanie to pick her son up from school and then disappears. Stephanie is determined to find out what happened to her new best friend and enlists the help of her ever-growing vlog fan base, to uncover the truth. Anna Kendrick is consistently great. She manages to switch between comedy and thriller fairly effortlessly – even if her co-stars can’t quite keep up. Her character is definitely the most intriguing and at times – decently disturbing. She, alone, makes this movie worth seeing. Blake Lively is gorgeous (as always) and definitely has the perfect ‘look’ for the role, but possibly not the acting range to pull it off convincingly. Ian Ho as Nicky Nelson and Joshua Satine as Miles Smothers are both excellent child actors. Nothing painful or cringey to report there! 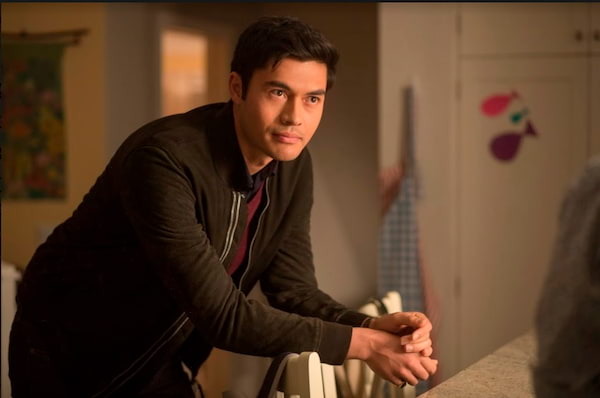 Henry Golding didn’t really have much of a challenge with his part as Emily’s husband, Sean Townsend. A one-hit-wonder of an author, taking a seemingly endless hiatus from writing, to focus his attention on his illusive wife. There wasn’t much else to him. Andrew Rannells as as the head of the ‘mean mom squad’, was an abrasive character at first, but had his own funny little sub-plot going on that ended up making him fairly endearing! There was a line pretty early on in the movie that absolutely ruined the ‘twist’ for me. There were very few moments in the film that truly took me by surprise or that I wasn’t able to see coming a mile off. It felt like director, Paul Feig, really couldn’t decide on the tone for the film. Sometimes it was genuinely very funny and then it would suddenly want to be taken seriously as it shifted into ‘thriller’ mode. This shift was often pretty jarring and even confusing at times. If you’ve seen Gone Girl, it will be hard not to feel like A Simple Favour is a weaker version, with Anna Kendrick’s humour style force-fitted throughout. The relationships throughout the film are also very hard to buy into. You’re meant to buy into Stephanie and Emily meeting and becoming best friends in a matter or weeks. Truly dark secrets being shared and all. Characters are given even less time to ‘convincingly’ fall in love and seemingly change their entire personalities as needed. If you’ve just skipped to the end to get the summary (fair enough), here you go: Gone Girl (woops! I mean A Simple Favour), is overall a pretty weak comedy/thriller if you’re looking for a decent plot and superb acting. If you’re looking for entertainment, beautiful people and some creepy character back-stories – then this is the movie for you. It’s definitely a unique viewing experience that no Anna Kendrick fan should miss!